Children with autism can make great improvements if they are fed fish oils, scientists are claiming. They have discovered that two-thirds of those with the condition, which restricts the ability to communicate and make sense of the world, have a deficiency in crucial fatty acids contained in the oils. 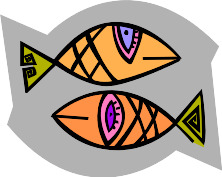 Children treated with fish oil supplements showed better concentration and their disrupted sleep patterns improved.
' Dr Gordon Bell has been recommending that patients treat their children with a highly-refined, over-the-counter fish oil supplement called eye q. "When we treat some of the kids by replacing depleted fatty acids, we see improvement in some of the behaviours and characteristics of autism,' he said. 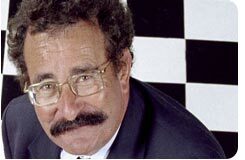 A recent experiment by Professor Robert Winston, the UK baby and child expert, has turned the spotlight on to fish oils and the miraculous effect they seem to have on children with problems as diverse as dyslexia, eczema and general bad behaviour. Parents across Britain have been fascinated by an intriguing experiment on the BBCs Child Of Our Time documentary. Professor Winston has been giving daily doses of fish oil supplements containing Omega 3 fatty acids to two children, each with different behavioural problems. Three months later, the changes have been significant. One boy's aggressive behaviour almost vanished and the other, once withdrawn and uncommunicative, has become popular and outgoing. Suddenly fish oils seem the answer to all parents problems.